Senior Hamas official: Netanyahu's remarks about conquering Gaza are ridiculous. It is more relevant to talk about liberation of Tel Aviv. Hamas is unfazed by Prime Minister Binyamin Netanyahu’s threat regarding the possibility of conquering Gaza in a scenario of escalation of terror against Israel. Sami Abu Zuhri, a senior member of the terrorist organization in Gaza, wrote on Twitter on Sunday, "Netanyahu's remarks about conquering Gaza as an existing option are ridiculous, and he must know that the liberation of Tel Aviv will certainly come." He stressed, however, that he won’t embark on “unnecessary wars,” and that he would only order a war in Gaza after all other options have been exhausted. Hamas is trying to deter Israel from military action in the Gaza Strip through accelerated military development of long-range missiles, some of which have recently been launched at targets in central Israel. Hamas leader Yahya Sinwar warned Israel on Saturday that "if Gaza is dragged into war, Israel will suffer. It won't evacuate just the towns bordering Gaza, but also Ashdod, Ashkelon, and even Tel Aviv." "Our fingers are still on the trigger, and they'll stay there in order to protect the Palestinian nation. 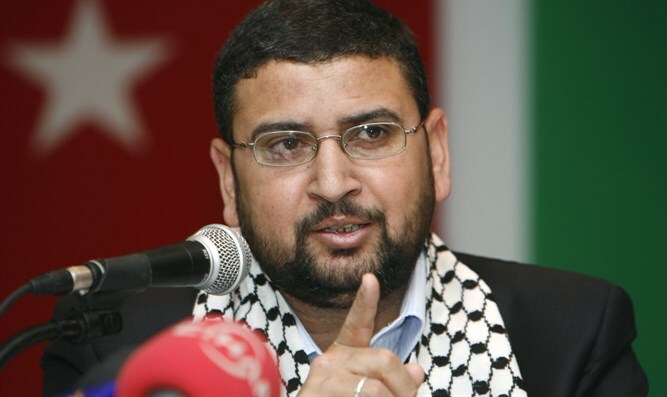 Hamas will be a sword and shield for the Palestinian people," he added. Egypt is currently working to broker an agreement between Israel and Hamas which will end both rocket attacks and the launching of explosive and incendiary balloons, as well as the violent riots held weekly along the Gaza-Israel border.